Rolling out of bed at 5am to tend to a very awake toddler is most definitely not my idea of fun. I just don’t do dark mornings, nor do I appreciate the early wake up in summer when it’s light outside prematurely. 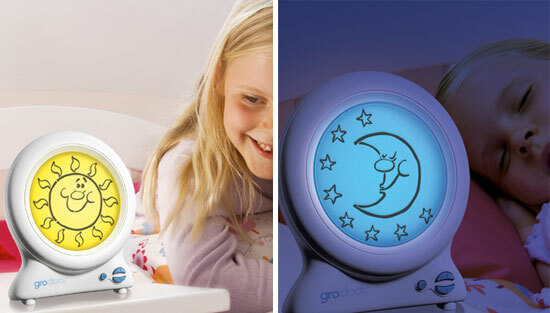 You might have gathered already that I’m not a morning person and you can well imagine I have been eyeing the Gro-clocks and Kid’Sleep clocks since we featured them in December 2009. Now that they’re both available locally, it looks like it’s time to take the plunge so my two-year-old gets the hang of staying in bed, making for a much happier mummy! The Gro-clock ($79.95) and Kid’Sleep clock ($49.95 and $74.95) are available at Bonito Baby.